Coffee Table — erin pellegrino. Natural edged walnut from a tree that had been struck by lightening is supported by a folded metal structure, suspending the planks above one another. 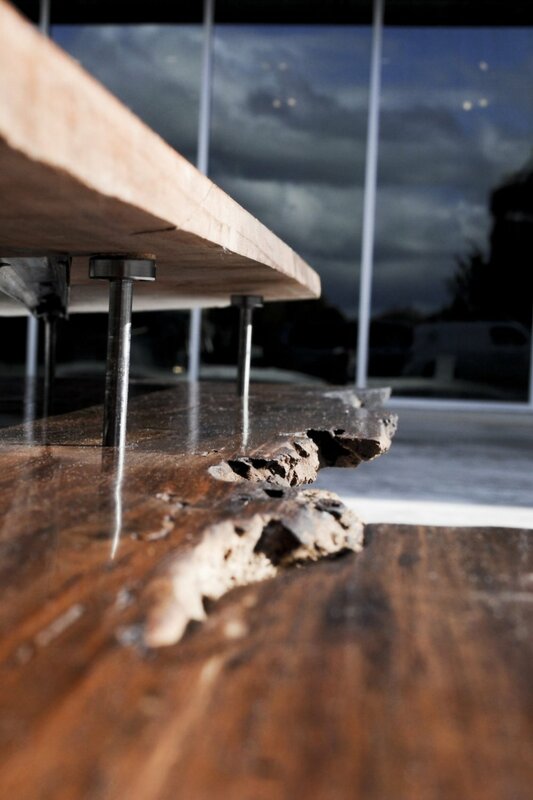 A custom mechanism enables the wood to reconfigure, expanding the table and contracting it, when necessary.